I don’t know about you, but my mood is very, very dependent on my circumstances. When life is going well I feel great – happy, secure, confident, content. Throw in a disappointment, some bad news or a fractured relationship, and suddenly I’m dissatisfied with life, restless, lacking in confidence, security or peace. 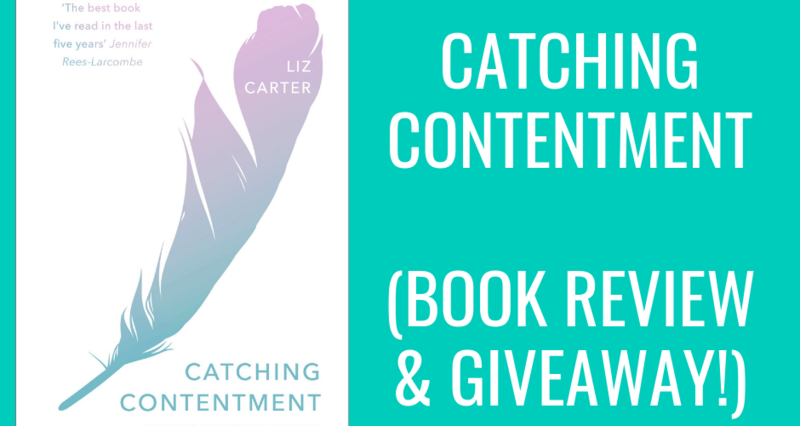 When I heard about ‘Catching contentment’ by Liz Carter (released yesterday), I was intrigued. As a Christian I know I should be seeking my contentment in Jesus, first and foremost. But it’s so hard to do consistently! My mind wanders, I get distracted by the many other good things in life, and start to trust in them instead. Yet – it’s never very fulfilling, is it? Liz knows a thing or two about disappointment. 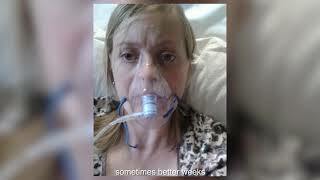 Suffering from childhood with a chronic lung condition has put limitations on her life which no one should have to endure. Often housebound for days or weeks at a time, unable to take her kids out or relax with her husband, Liz would have every right to complain about her lot in life. Yet Liz has plunged the depths of Philippians 4:11 (where Paul says “I have learned to be content whatever the circumstances”), looking more widely at different Bible passages and the testimony of other Christians, and found that Biblical contentment is not based on circumstances, but on what has already been done, what we already know, and what we hope for in the future. 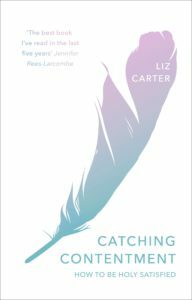 This is such a profoundly wise book – not to say it’s hard to read (Liz has a warm, engaging style – you’ll feel like her friend from chapter one onwards, and there’s a good amount of stuff which will raise a smile on your lips) but that, through the enticing writing, the words are deeply challenging for Western Christians. Liz deconstructs the phenomenon of ‘#blessed’, where we add this hashtag to perfectly-filtered shots of our home, family or holidays on Instagram, as if God’s material blessings are our sole aim in life. She writes about the ‘grumbling’ culture of Christians, where we get so caught up in church decisions that don’t really matter in Kingdom terms, or become obsessed with being ‘right’ on a particular issue, that we fail to realise we’re not finding our contentment in Jesus, but in our own egos. Liz also devotes space to that most hardest of situations: when, despite our praying and reading, we just cannot feel God near to us. What happens to us in those ‘dark nights of the soul’? Will we lose our faith, our peace, our contentment? Liz has been through it all, and is honest about times she’s failed to accept God’s contentment in her life. She walks alongside us as we struggle too, and offers hope and fresh perspectives. I can’t say just how much I recommend this book to you – I’ve read some brilliant Christian books in the last few years but, for me, this has been the most powerful. It would make a superb Christmas present, for those of you thinking about such things. On which note, let me help with that! This Sunday at 8pm I’ll be randomly selecting someone to win this amazing book, which IVP have kindly donated. To enter, simply join the Desertmum tribe here – and, if you’re already in it, just leave a comment here on the blog. Over to you – are you content in life? Does you contentment change based on your circumstances? How awesome do you think this book sounds? Please leave an encouraging message for Liz – this has been a hard week for her, she’s been really poorly and even missed her own book launch 🙁 Cheer her up: go on! Oh poor Liz! Liz if you’re reading this I’m praying that God would minister to you. I asked Liz to write a guest blog on my website, which she kindly did, because – having suffered a lifelong disease myself, I recognised many similarities in our lives. As a result, we shall be reading Catching Contentment for our March 2019 meeting of Book Club. We all agreed it’s a topic well worth exploring. Thank you for this amazing review, Lucy! Contentment is so hard to catch, so all words of wisdom in the madness of our daily lives is much needed! This book sounds just what I need to read. So sorry life is tough at the moment Liz. Really hope that things get easier soon. This is such an important issue. I have a friend with a long term chronic illness who would so benefit from this book, we were talking about the Philippians verse just the other day! Hearing from someone else with a chronic illness would be so helpful. Thanks for the post! Thank you for such an inspirational book. This is a topic to learn, over & over again. Being content and trusting God is so hard sometimes and yet so rewarding. May God bless you richly. Would absolutely love to read this! What an amazing woman, I can’t imagine the courage and perseverance that must have been etched throughout someone’s story in order for them to be able to offer words like this. There’s a deep profundity that comes from someone speaking timeless truth out of their here-and-now-story. Liz you sound like a legend. Thanks for sharing your story and your revelations.